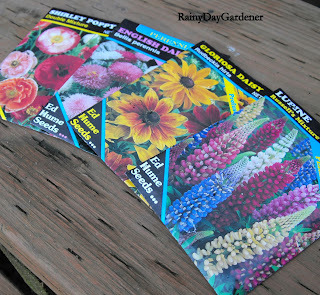 Thanks to friend Catherine posting on facebook about her plans to begin Winter Sowing, I was introduced to the concept and a great website dedicated to winter sowing seeds. I'm starting with perennials. 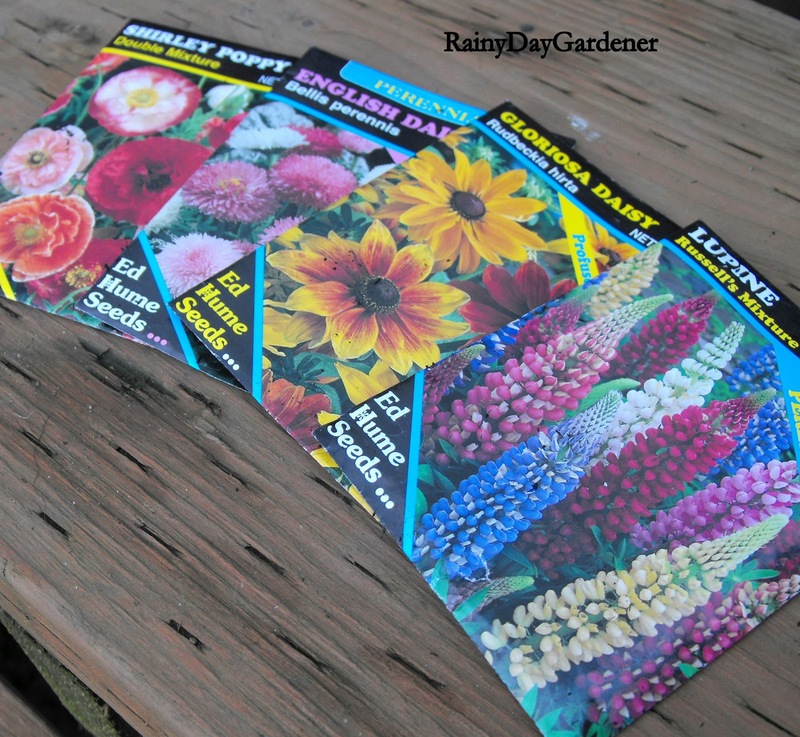 Catherine at a Gardener in Progress wrote a lovely How - To post regarding winter sowing here. Today, brother bear and I worked on cleaning out pots and directly sowing some of the hardier seeds. He was very excited to be outside, helping mom. 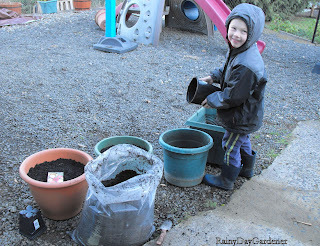 One of the things that has been so precious this past year is sowing seeds with my kids. I underestimated their joy at putting the tiny seeds in the dirt and checking daily to see how they were growing. I enjoyed getting my hands dirty. It feels like it has just been too long. The brisk 36 degrees felt good too. I have a lot to learn about winter sowing. The concept that it produces heartier plants is of great interest to me. One of my goals for the upcoming year and moving forward is to grow from seed as much as possible. I've admired the way other gardeners utilize seeds as it's practical and economical. 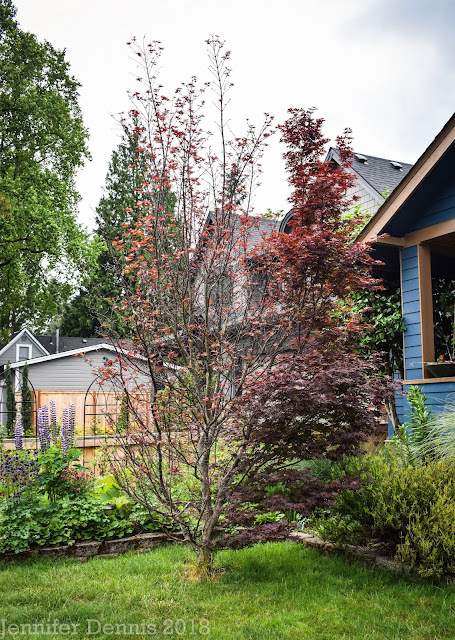 I hope you get some great plants to take to that new home! I think I will give it a try over the weekend. I love hollyhocks and cannot get them to grow here, maybe this will work. It looks like your son is having a great time. Great idea to just sow into the containers, I think I will try that. Your son looks like he's having lots of fun. I know what you mean about missing getting your hands dirty, I miss it this time of year. Hope it works out for you. It usually gets too cold here for any Winter-sown seeds to do well. If they do germinate there is insufficient light available before about March / April! You look to have chosen a good selection - I'll be interested to see how things grow. Nothing like our hands in the dirt! Merry Christmas to you and your family, Jenni! 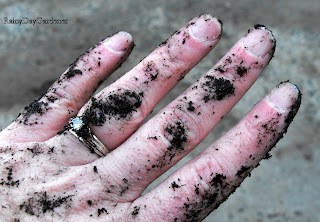 Only gardeners would understand being excited about getting hands that dirty! How wonderful that you are passing on the love for gardening to your children. It is a miracle to see that little seed sprout and grow. Merry Christmas! Wow, must have been chilly during your sowing outside. Maybe hot chocolate after? :) I'll probably wait until March to sow. Happy Christmas! Excellent Jenni! I hope you and your little family have a wonderful Christmas. Blessings!